This article is long overdue, but because of my limited time in the last year to write articles for my audio website, it took a lot more time to finish this article than expected. I dedicate this article to the Lenco Heaven forum, as without this forum and the help, support and knowledge of its members, this Lenco Magic article wouldn't have been possible. My love for audio gear started when I was 15 years old. At that time, my late uncle celebrated his 25th year of working at a company, and his fellow colleagues gave him new stereo equipment to celebrate: an HEA stereo 4000 receiver (good old Austrian audio quality of the early 1970s -> you can see a photo here) and a Lenco L75 idler drive TT with Shure MM cartridge. I can't remember the speakers my uncle used back then. The Lenco was definitely made for this kind of music and delivered a drive and quality of rhythm that made it hard to sit still. Many listening sessions followed, and my path to becoming an audio enthusiast had clearly been ignited. 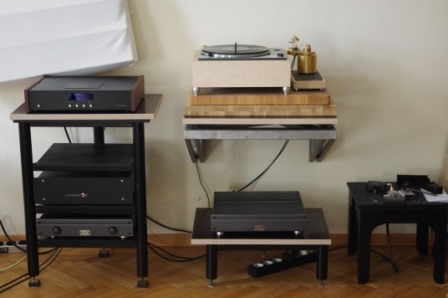 Let's quickly look at the TT experiences, I mentioned before: Over the years, I had owned an Onkyo direct drive, Thorens TD115 MkII and TD 166 MkII, still own a Linn LP 12 with Lingo PS and Ekos as well as a unique out-of-production Music Tools TT designed in Austria and the Tao turntable with Helius Designs TA. 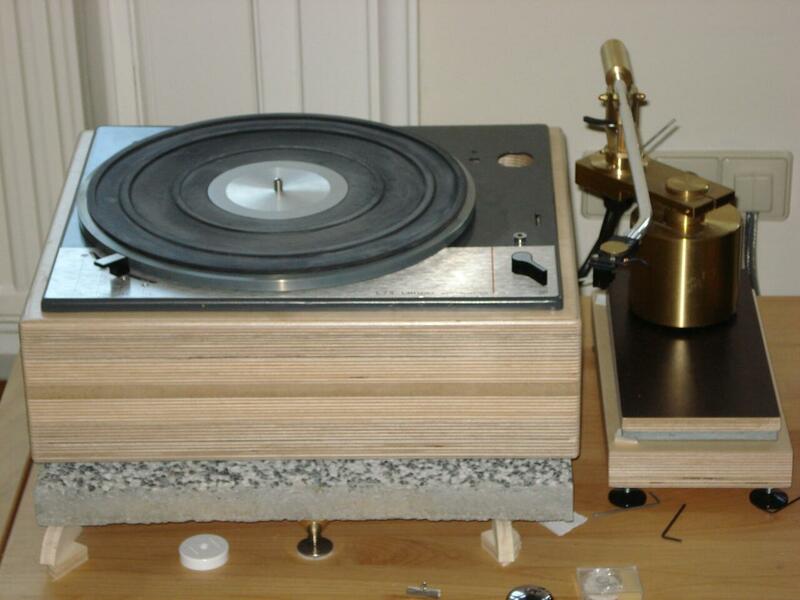 The Tao TT is a 45-kg granite based mass loaded belt drive model with a Papst motor drive, designed by Peter Kroack, a German audio designer and friend. 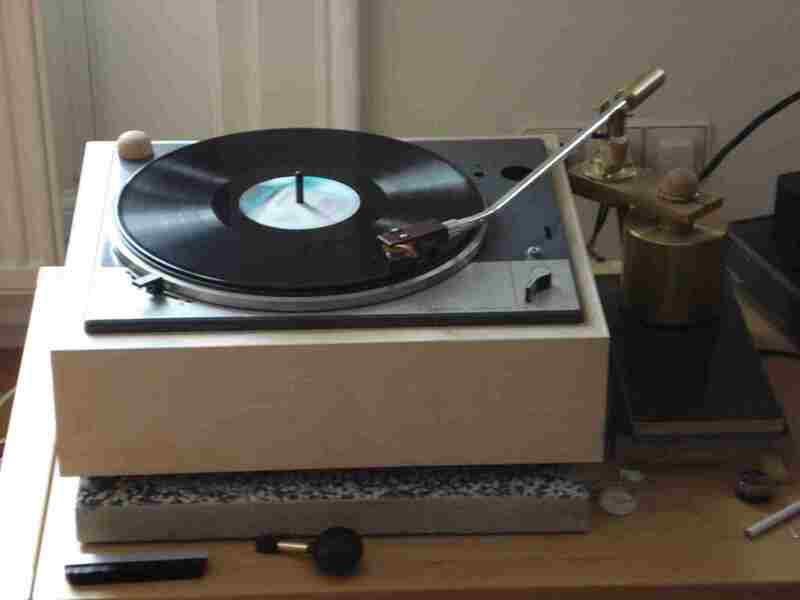 My new TT arrival, the Lenco came with an original tone arm, Shure M75 cartridge and instead of in a plinth, it was in a wooden mounting-frame. This is because it had been part of an audio-furniture component. For that reason, I couldn't try it out immediately; however, I couldn't wait to make my own plinth, as it was too tempting to get an impression of how my new Lenco TT eventually could sound. 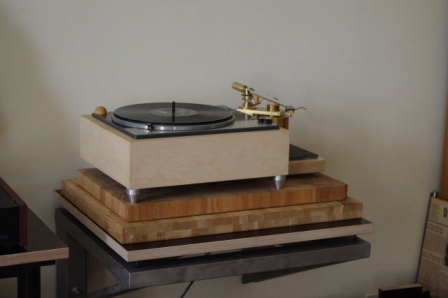 So, I put the frame on four wooden blocks, checked that the TT was level, plugged the mains cable into the wall outlet of my music room and the phono cable into my EAR 868 preamp and played the first record. Although this was distant from an optimal solution, the results were promising. There was plenty of drive and rhythm, so I knew that it was worth building a plinth for my new Lenco L75. First, I read a summary of information on Audiogon, which incorporates a lot of information Jean Nantais originally had provided about upgrading Lencos. Mr. Nantais was the initial driving force behind the newly discovered recognition that idler wheel-drive systems in general have advantages in torque in comparison with, for example, belt drives. More than that, Jean Nantais is convinced that the qualities of the Lenco drive mechanism have advantages over other idler drives due to the fact that Lenco implemented a drive where the wheel is running in a vertical plane, driving the platter from underside. Due to this clever concept, and the spring which holds the wheel in place, motor noise and vibration are kept from reaching the platter. Over the years, rebuilding Lencos and transforming them into mass concepts with heavy plinth designs using constrained-layer damping and selected materials (for example, a mix of plywood and mdf) for his plinth construction, Mr. Nantais has proven the exceptional quality which can be achieved with idler wheel Lencos. 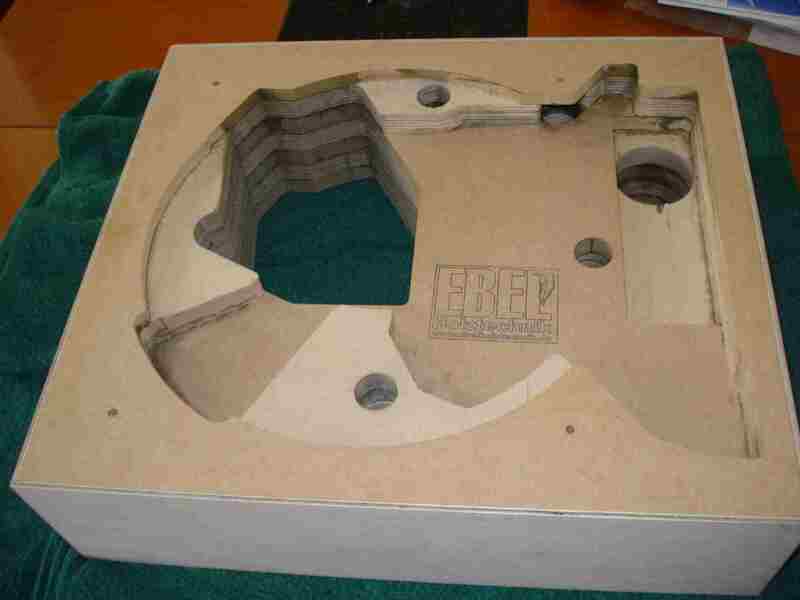 People who bought his designs, as well as interested DIY audio fans who upgraded their Lencos according to his recipe, have confirmed his findings. Nantais' original thread on Audiogon was, according to his website, "the longest-running thread in audio history at the time" with over 4000 posts. It's also recommended to read the back ground info Jean Nantais provides on his website. I would love to one day hear a Nantais Reference Lenco, that's for sure. After the experience I had with Lencos, I'm convinced that such a 'beast' must be a musically-exciting world class TT. I experimented with different base plates for the Lenco. The best one sound-wise turned out to be a plate of exposed aggregate concrete which I put under the Lenco and joined with the Lenco via a kind of plasticine. Then, I used three cones between the concrete base and the table the TT was sitting on. The extra mass of the concrete helped to make the Lenco sound gain more weight and stability. I liked the results of my first Lenco project a lot. Very musical, with lots of drive. Back to the rediscovery of Lencos. It's fair to say that Jean Nantais was the "father of the Lenco fever" that has followed from ca. 2004 until now. 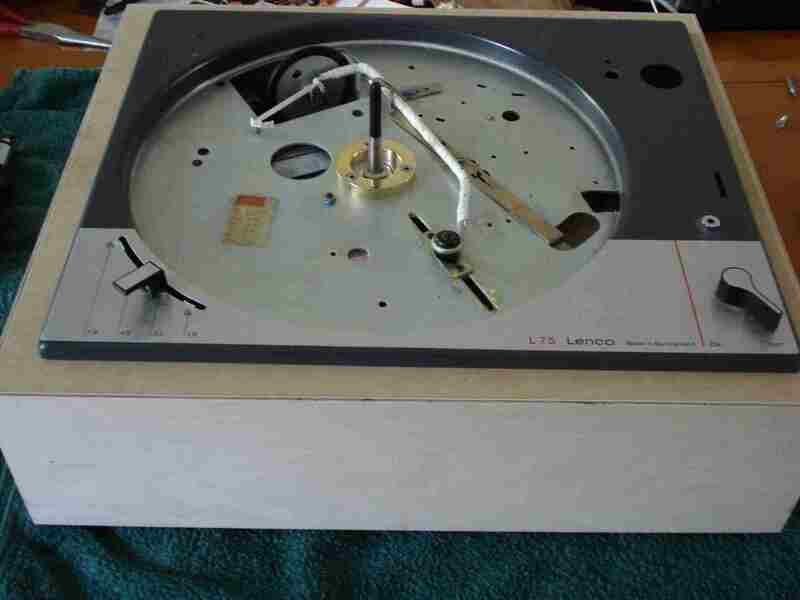 The Lenco was discussed after the Audiogon breakthrough in different audio forums and many more people experienced the quality of the Lenco TT first hand by starting a DIY project and successfully tweaking their Lencos. Finally, around three and a half years ago, Lenco lovers from all over the world founded a dedicated forum for Lenco TTs, which is called Lenco Heaven. I found out about it in early 2010, became a member in April 2010, and got lost in all of the valuable info about tweaking Lenco TTs. I can't recommend Lenco Heaven enough. It's a fantastic audio forum with wonderful members. It is not only the source and knowledge base for all kinds of Lenco-related questions; it is the members and the spirit of this forum which makes it a special audio forum. People share ideas and help/support each other during projects. There are also festivals organized frequently by the members, where people come together to talk about music and their audio hobby as well as other interesting topics, have fun, drink a beer or two and listen to music together. I joined one meeting in Brussels with my friend Alexander in late 2010, and it was a blast. But back to Lenco-related projects on Lenco Heaven. The projects you can find there - as a member - with photos and comments are so inspiring that it's more or less clear that one wants to start his own project, believe me. 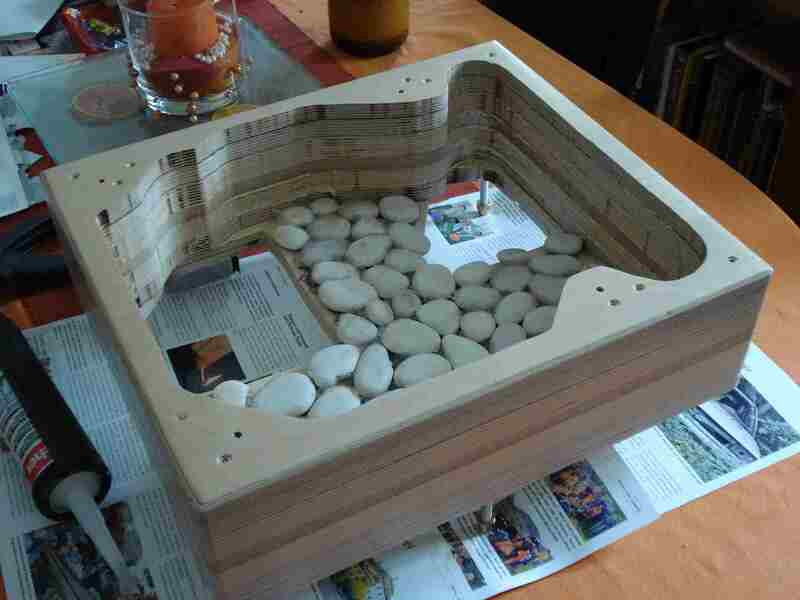 I definitely had to get my second project going - that was a must - although I knew that my limited wood-working skills and lack of tools and machinery didn't allow for a full-blown project � la Lenco Heaven at this stage. As I decided to improve my stock Lenco bearing, I checked the LH forum about alternatives and learned about Jeremy Clark's wonderful bearings there. So, I contacted Jeremy in May 2010; we had a nice and informative talk and I ended up ordering a special version of his Standard bearing with clamping system (which is close to Jeremy's Superbearing). This special-version Standard bearing should definitely be a big step over the original Lenco bearing, as Jeremy's manufacturing skills were said to be way above the Lenco standard. It's also worth noting that the bearing version I ordered from Jeremy is more or less an improved entrance-level design in his bearing range for the idler-drive Lencos. So, there is a lot of room for improvement and different choices (Supermarine, Mammoth, Legend and Event Horizon), if one wants to get the ultimate bearing for his/her Lenco TT. In my experience, Jeremy has been a pleasure to deal with, and although his work load prolonged my waiting time for my new bearing by some extra months, he kept me updated about his progress during the waiting time. Meeting him at the 2010 Brussels LH in person was a delight and definitely trust-building. Caveat: Due to a lack of spare time, I have been unfortunately a rare visitor to the LH forum in 2012. Sorry to say that, dear LH friends :-( What I've realised lately though was that Jeremy has apparently been way behind schedule to deliver the bearings LH members had ordered from him, and in most cases, had paid in advance. This list of still unfulfilled bearing orders is long. So, please take this into account and inform yourself on the LH forum about the current status before you decide to order a bearing for yourself. I decided to upgrade my plinth to increase mass and as I'm not a gifted wood worker and don't own the right tools, I had a plinth made in Germany by Ebel Holztechnik. I can recommend this company, as the plinth was perfectly made and reasonably priced. The plinth was CNCd and consists of seven layers of birch plywood and MDF. This plinth increased the weight of my Lenco by quite a margin, which is what I had wanted to achieve. Mr. Ebel suggested surrounding the plinth with a thin layer of plywood to prevent deforming of the plinth construction over time; this is because I wanted to choose the veneer I preferred, at a later stage, here in Vienna. Massive in comparison to the original Lenco bearing - gorgeous and shiny, isn't it? Next was to follow the excellent instructions in the LH forum for the motor's cleaning and the motor's fine adjustment. This improved my Lenco motor's performance by quite a margin. It had never been that silent before. A big thanks to the LH forum for these great instructions, which were a breeze to follow. As I love to play tennis, I used a thin grip-band to dampen the idler arm. Works great in my opinion :-) You can see it in the photos above and below. I also did the rubber band trick for the idler wheel instead of the original spring. For this, I used an approx. 5mm wide white rubber band, which should be available at a shop for sewing accessories. This is definitely an improvement. You can see it in the photo above and the one below with the mainly finished Lenco L75 TT. Jean Nantais offers a further advanced modification - the TJN Mod - by using a string and a weight, which can be ordered as a kit version from him or can be done as DIY mod by following the description on his site. I think this is the ultimate version of how the interaction between idler wheel and motor can be optimised and I will try it out one day, that's for sure. The only problem I encountered during assembly was that my original Lenco L75 platter could no longer be used together with Jeremy's bearing, as the distance between the lower platter rim and the Lenco base plate became so tiny that the platter touched the base plate exactly in the front of the TT, where the aluminum decor sheet sits. 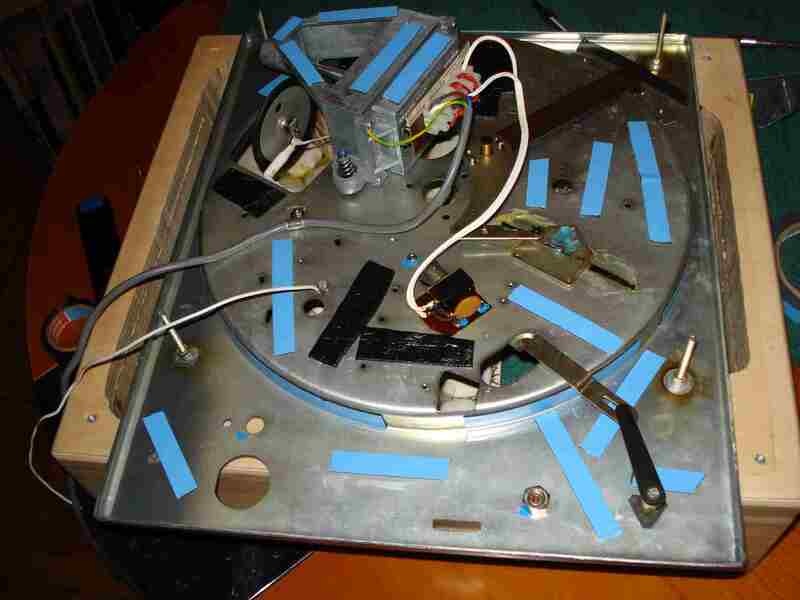 Fortunately, the platter of my second Lenco TT, a L78, worked fine. I informed Jeremy about this and he told me that with all the bearings he had made so far, this problem had happened only one other time. As it looks, Lenco of Switzerland had somewhat more generous machining tolerances in the bronze-bushing production of the platters, and the original bearings took this into account better than the exact parameters of Jeremy's bearings. So, what can you expect from such a Lenco idler wheel TT? 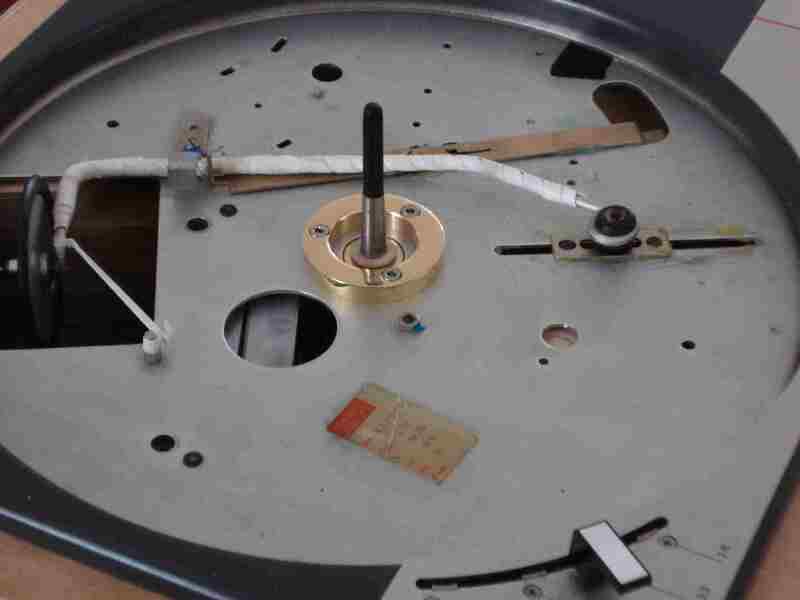 From the start, the decreased background noise level of the needle running in the groove was immediately recognizable. This was a big improvement from the stock Lenco bearing and tells a lot about the quality of Jeremy's bearings. 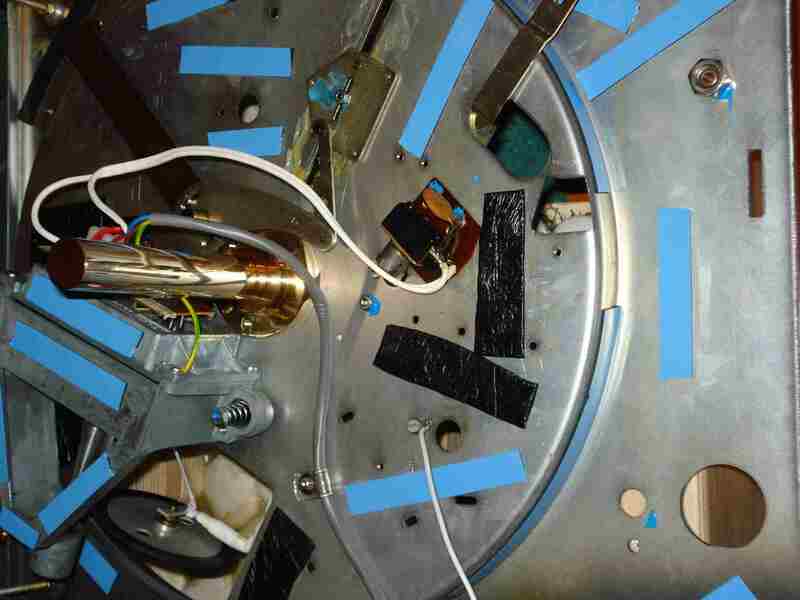 There was also a big gain in stability, instrument placement, 3D imaging and bass quality detectable. Although these were big improvements right away, it was obvious that the bearing needed time to wear in. Jeremy had pointed this out to me, before I ordered from him. The experiences of some of the other LH members point in the same direction. It is important to have this bearing run in 24 hours for some days minimum, the longer you have patience the better. Also, change the oil frequently. One has to know that Jeremy's manufacturing tolerances for his bearings are extremely tight. He is definitely a perfectionist. The consequences of this are a longer run-in process than usual. The special lubricant Jeremy provides as grease/oil with the bearing - called the Supa-Goo - is wonderful, but quite thick. This has advantages in reducing background noise further, but also can cause pitch variations, which can be pronounced if the room temperature is somewhat cooler. That's what happened with my Lenco, as I used pure Supa-Goo from the start. The combination of my new Jeremy bearing, a thick lubricant and a somewhat lower temperature in my music room at the end of winter 2011, led to these effects, which can be annoying with classical piano music ;-). Jeremy, therefore, currently provides a thin, sewing-machine oil with each bearing. 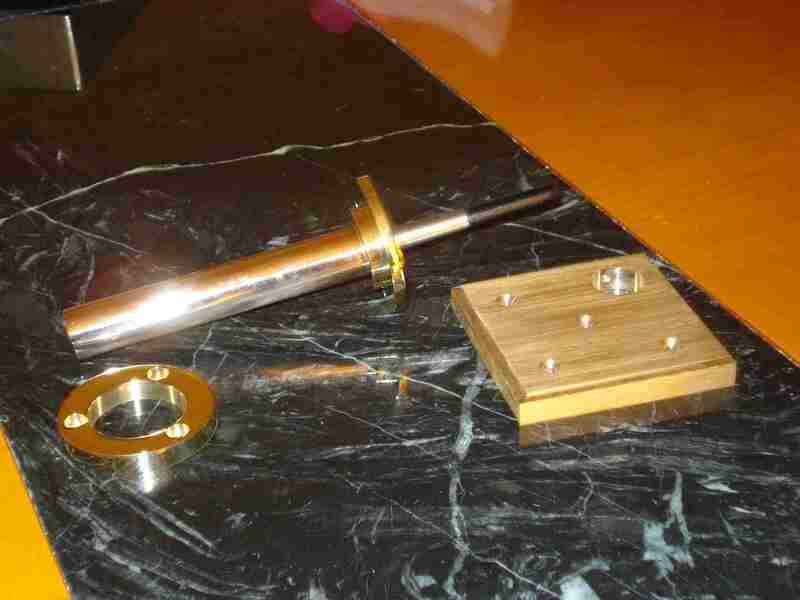 This can be used for the run-in process of the bearing or mixed with the Supa-Goo as one thinks is appropriate. I did the latter and had excellent results with a mixture of 1:1. This solved the pitch problem, and I never looked back. The bearing has gotten better and better over the last 13 months and is definitely a big improvement over the standard Lenco bearing in all categories. This said, the new bearing is the main factor of the improved performance of my Lenco TT. Drive, musical flow, bass power, background blackness, instrument placement and 3D imaging are first rate now and will improve further with use. I would say this upgrade was a remarkable step forward performance-wise and a bargain, too. Regarding my bearing I can state: Jeremy Clark, job superbly done! Besides this highly-positive remark for his outstanding craftsmanship and value of improvement for my Lenco, I am very concerned regarding the huge line of people waiting for their bearings. I'm glad that I was one of the lucky people, who received their bearings after some months of waiting time - mine was actually eight months. However, as long as there is no improvement in bearing deliveries for LH members, I must provide this caveat. Substituting the original spring with a rubber band, the ones you get in a store for sewing accessories, is - in my opinion - one of the most effective and least expensive improvements you can make to improve the performance of the Lenco. Such a rubber band outclasses the original spring by a wide margin. The music played through the Lenco breathes more, has more realistic color and shading and the soundstage increases in width and depth. With the exceptional quality of my Gamma horns and my fantastic LFD MCT SE phono stage, you can hear the effects of such changes very easily. The heavier plinth, in comparison to my first version, helped to improve the performance of my Lenco further. Music played over the L75 gained in weight and stability, which led to an increased bass performance. If you don't have the tools or skills to do it on your own, Ebel Holztechnik in Germany is a great place to get your plinth done. The motor tuning (which is step-by-step described at the LH Forum in an excellent way with great photos) was a breeze to follow and to perform. My motor and the motor spindle have run remarkably silent after this treatment, and although I haven't especially compared the sound before and after, I believe a motor with less vibration and noise is of importance for the sound of an idler wheel TT. My Lenco wasn't placed well for quite a time. This was nicely framed, as the placement on a wooden couch table near the opposite wall of my listening sofa was practical (see picture of my system with Gammas below, in early 2011) yet one of the worst things one can do regarding placement and didn't do justice to the quality of my audio system. 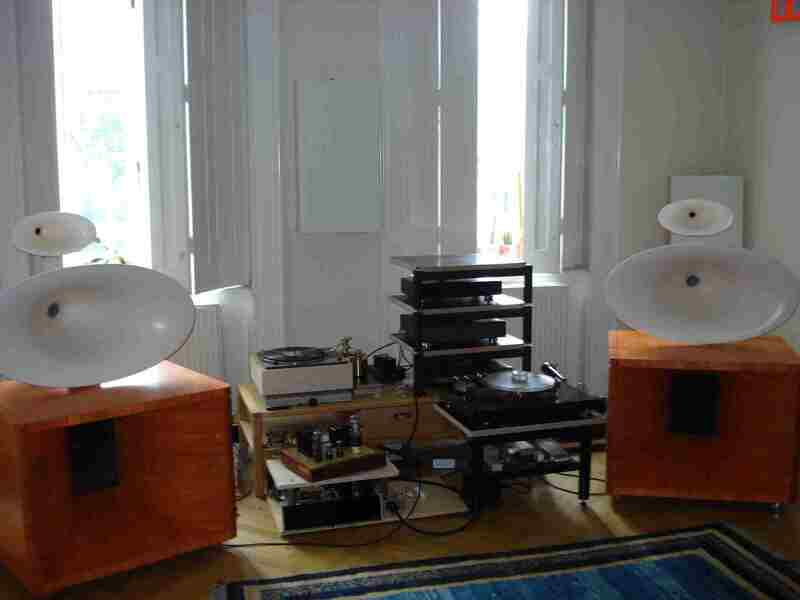 The funny thing was it worked well enough to enjoy my music, as the wooden floor in our old flat was of quite stable quality (footfall sound was not a problem when spinning records). So, I enjoyed my record collection more than ever and many visitors did, too. 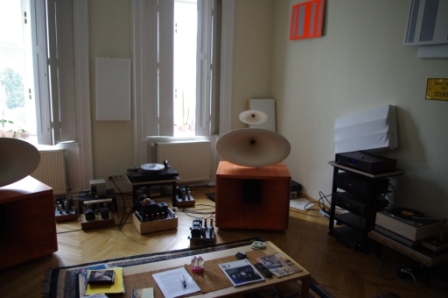 However, my friends David and Alexander, who frequently visit for music sessions, told me more than once that the sound would improve further if I finally considered mounting the TT on a wall platform. And eventually in September 2012, they won. David and I performed the job. To be correct, he did the main part and I helped ;-). Now, this is the final placement, and I have to say wholeheartedly it was worth it. ;-) The performance of the Lenco is now in a different league; there is so much more blackness and rigidity in the sound. Believe me, you can judge the effect of a change like that immediately after the change has been made. Well, as I don't have that experience and didn't have the chance to compare the Lenco with top TTs such as the Platine Verdier, the EMT 930 or legendary 927, SME 20 or 30, the Kuzma Stabi Reference or top notch Stabi XL4, the Walker Proscenium Black Diamond, the Rockport Technologies System III Sirius, VPI HRX to name a view contenders, I can't state that. What I can say is that a pimped Lenco L75 is the most underrated TT I have ever experienced. In my system, the pimped Lenco outperforms all of my other TTs by quite a margin. My Lenco's drive, musical flow and authority are unmatched by the others. However, I know a UK audio dealer, with whom I have become friends in the meantime, who has heard mainly all expensive and renowned TTs over the years, be they SMEs, various Platine Verdiers, Kuzma TTs, the top notch Walker, the Rockport Technologies System III Sirius as well as the much raved about Continuum Audio Labs TT range and various idler wheel drives from Garrard to Thorens including upgraded Lencos, although no Nantais Reference Lenco, I believe. Mik, my UK friend did a lot of comparisons and is a highly-experienced audio expert, so I trust his opinion. When I asked, he said that to his ears the best TT ever built is still Andy Peyor's Rockport Systems III Sirius TT due to the incredible speed stability of the motor and drive unit. This combo, according to my friend, outclasses even the cutting machines used for LP production in speed stability. Unfortunately, this Rockport TT is no longer in production and not many were built. Maybe there will be a chance to listen to one of these legends one day, and then I will report. In the meantime, I will enjoy my pimped Lenco and my record collection. As I finish this article, I am listening to The Uptown from 'The Soulful Piano of Junior Mance', Jazzland 930S. Via the Lenco this superb, rhythmically driving gospel tune makes me dance.